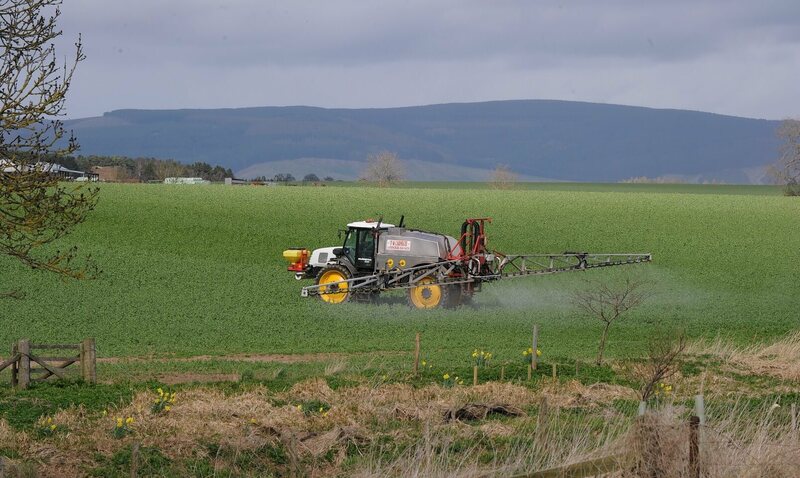 Possible farming pic – spraying the crops near Fettercairn. 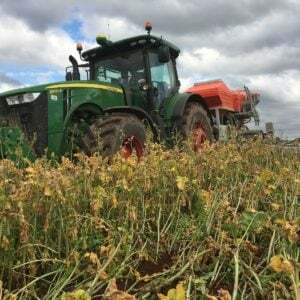 As the EU decision on whether or not to re-authorise the herbicide glyphosate approaches, a farming union has called on farmers to get the message out on how important the herbicide is. NFU Scotland’s #GlyphosateIsVital campaign has been launched, and the union states that many farms across the UK rely heavily on glyphosate to control weeds, manage harvests, and reduce grain drying costs. The campaign comes as news that EU farm commissioner Phil Hogan said he would like to re-authorise glyphosate for ‘at least the next 10 years’. 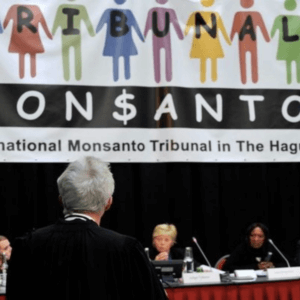 In 2016, glyphosate was re-authorised for 18 months rather than the 15 years the UK farming unions and wider agricultural industry had called for. 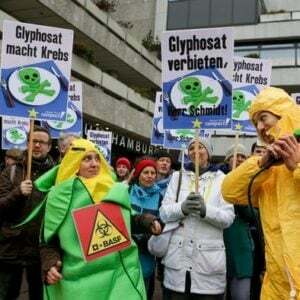 The unions stated at the time that there was no well-reasoned scientific argument to hold back a full re-authorisation of glyphosate. 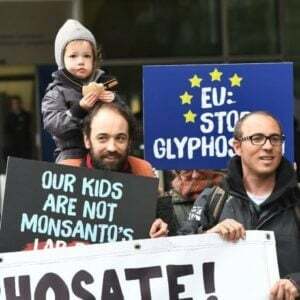 However, the decision-making process regarding the use of glyphosate had become highly politicised. Previously the European Food Safety Authority (EFSA) and World Health Organisation (WHO) had both said it was unlikely to cause cancer. Whilst this conclusion was not shared by the International Agency for Research on Cancer (IARC), it has recently been upheld by a major report from the European Chemical Agency (ECHA).